A commercial grade panel that is mechanically seamed and installed with a hidden floating or fixed clip system. Ideal for low slopes, wide spans and open purlin systems. With a 2" tall rib this structural panel can span open purlings up to 5' depending on load restrictions. Panels can be produced flat or with striations. Bridger Steel recommends striations to minimize oil canning. Backer rod may be applied under flat panel application to help minimize oil canning (oil canning is not a cause for rejection). This panel can be radiused into beautiful architectural curves. Add arcs, curves, and waves to your project designs. Radius mechanical lock roof & accent panels are perfect for dormers, archways, entries, statement details, and much more. This barn uses 2" Mechanical Lock in Weathered Copper. This barn uses 2" Mechanical Lock in Weathered Copper with Tuf Rib Siding. This commercial space uses 2" Mechanical Lock roofing with a 7/8" Corrugated A606 Truten wainscoting. Suitable for areas prone to heavy rainfall. 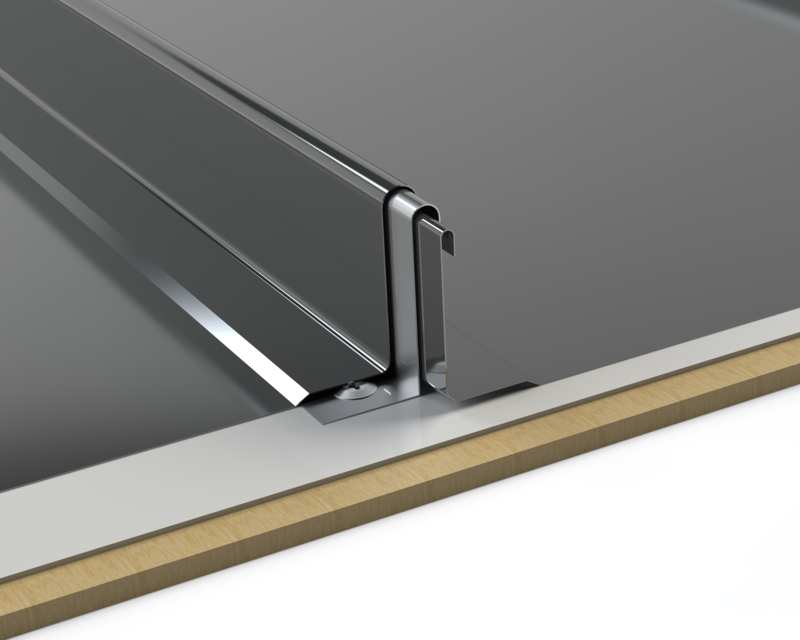 Can be installed over an open purlin system or solid substrate. This panel is double seamed for added protection. Mastic can be applied for superior weather tightness. Ideal panel for low slopes, longer spans, and open purlin systems. Clip System: Fixed or Floating clip systems available.